Take the classic flavor combination of eggplant parmigiana or chicken parmigiana and turn it into a pizza! This grilled pizza keeps the kitchen cool during the summer months. When I mention that eggplant is often one of the summer vegetables found in the Community Supported Agriculture (CSA) farm share box, I hear 'oh I love eggplant parm'. So do I. However, I hate to bake a hearty casserole in the summer when the eggplant is ripe. I've had success this past winter with using frozen (but already grilled) eggplant in baked dishes, but that's a recipe for another time. 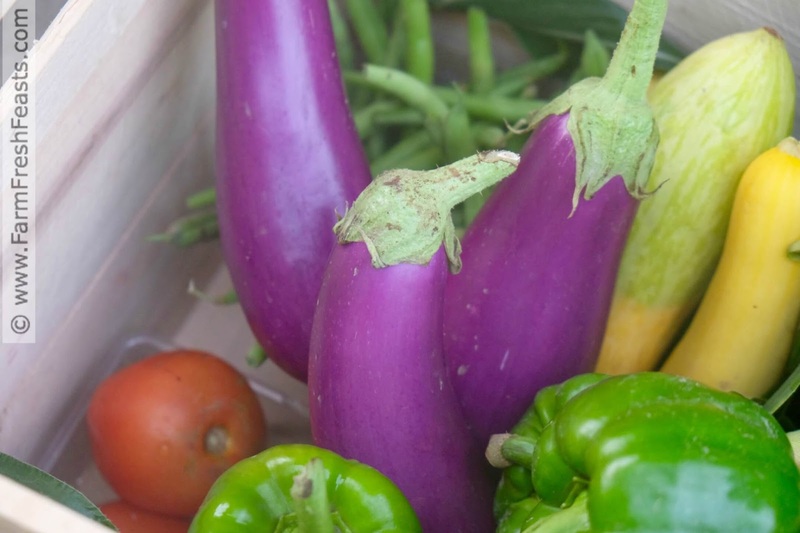 Today I need to share a recipe for how you can use your eggplant while it's ripe & summer-hot outside. 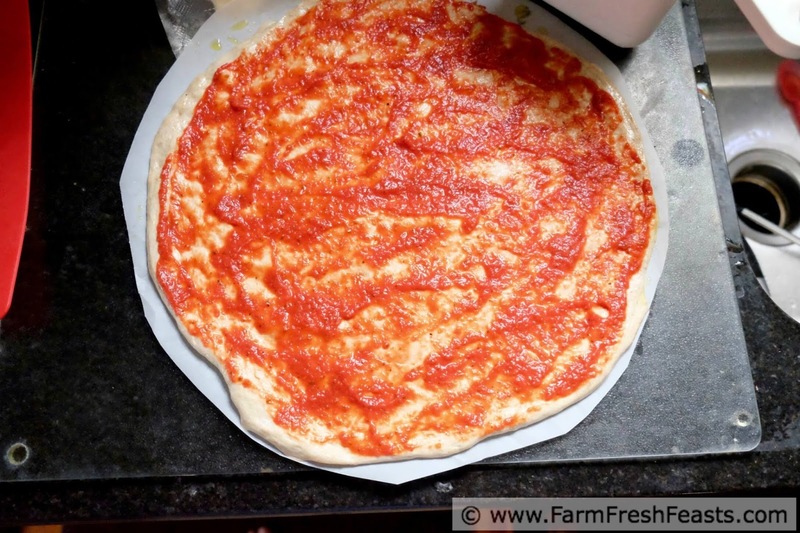 Grill it--and toss it onto a pizza with plenty of tomato sauce and parmesan cheese. If you like chicken parm, add some grilled chicken to the pie for a bit of variety. 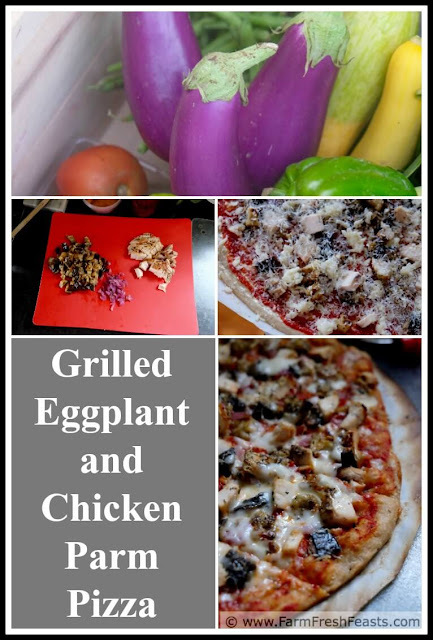 You can fire up the grill and then cook the eggplant (and chicken if you're using) and then later grill the pizza, or you can throw some extra on for dinner and make a planned leftover for another night. A bit of tomato sauce (store bought for me this time), and mozzarella, and freshly grated Parmesan rounds out the rest of the ingredients. 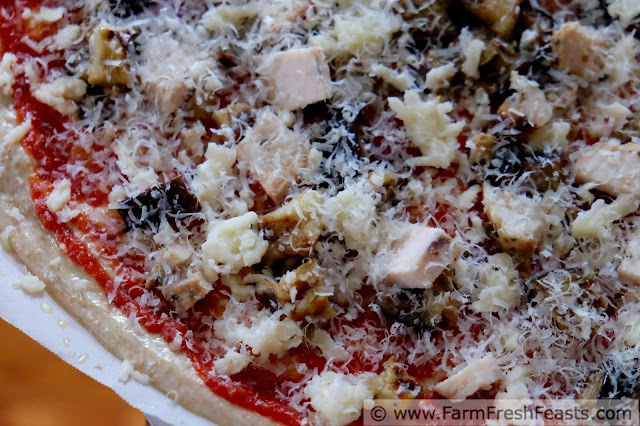 This pizza provides the flavors of eggplant parm without the heavy fuss of baking a hearty dish in the summertime. 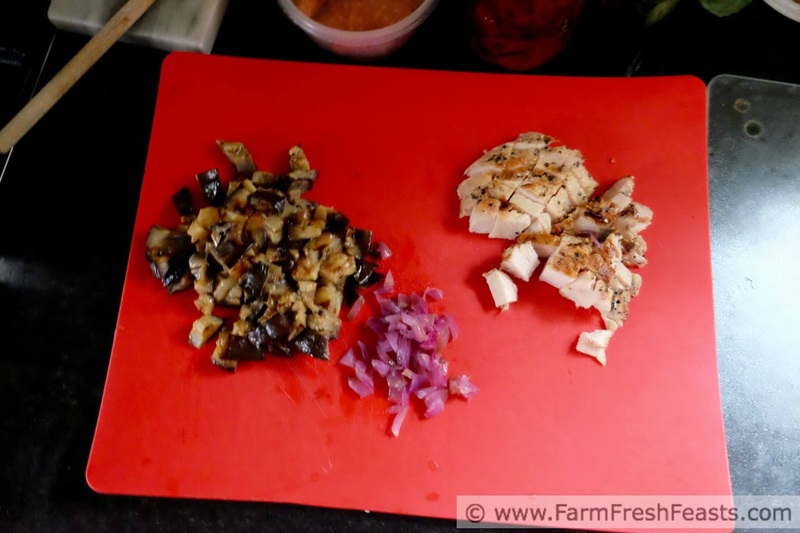 Try it when you've got plenty of eggplant to play with! 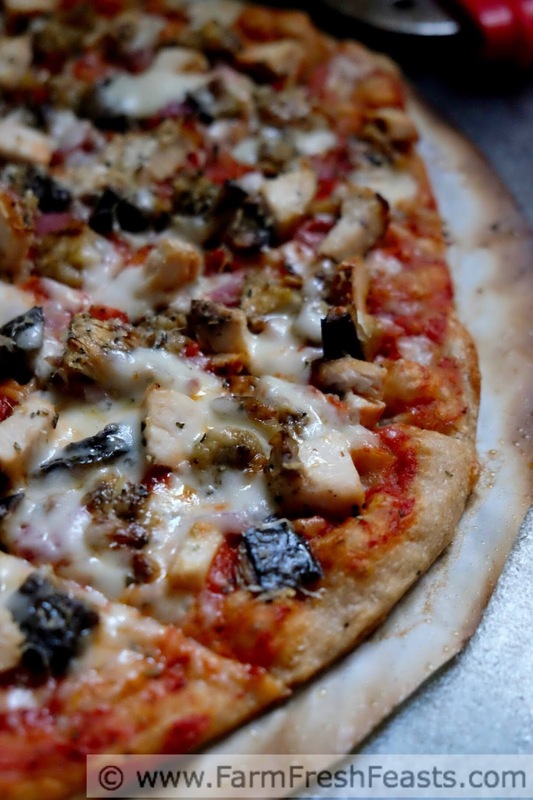 For more pizza recipes, please see my Visual Pizza Recipe Index. For more recipes using eggplant, please see my Eggplant Recipes Collection. It's part of the Visual Recipe Index by Ingredient, a resource for folks like me eating from the farm share, the farmer's market, the garden, the neighbor's garden, and great deals on ugly produce at the grocery store.